Even in today’s digitized world, most HR departments of any company practice traditional ways when it comes to the hiring process. Interviews, in particular, are still limited to physical person to person communication. This is a major setback. Why? Because it is time-consuming, hard to put together, and in some cases is not even cost-effective. We’ve come to a point where the hiring process can become so much easier, cost-effective and time-efficient with video interviews. How can your HR department make high-quality video interviews with potential employees? Is there a device that won’t break your bank but at the same time offer you exactly what you need? Yes! 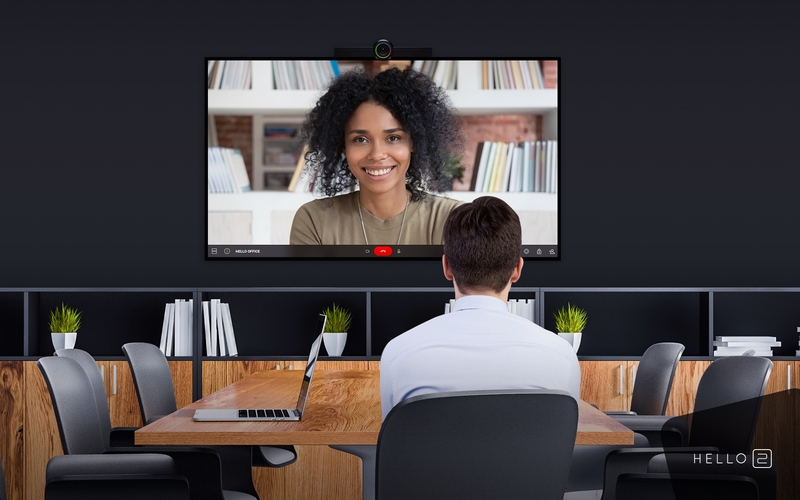 It is called HELLO 2 and is the perfect device for video interviews to facilitate the hiring processes. HELLO 2 is an all-in-one communication and collaboration device capable of transforming and upgrading HR practices and systems. 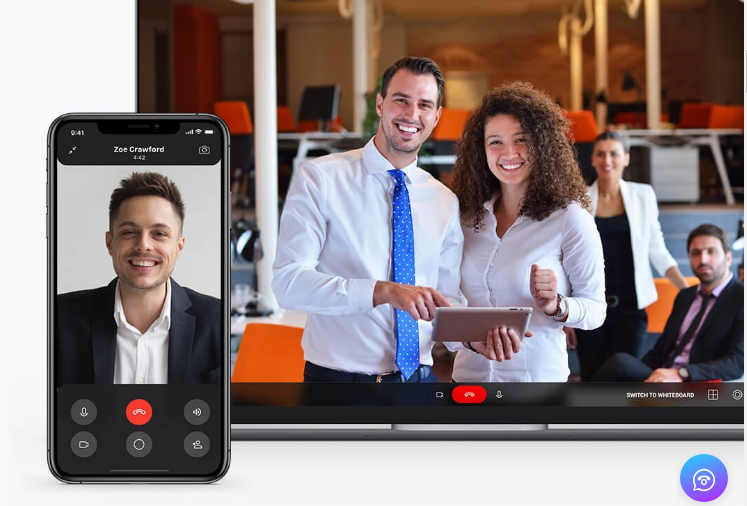 With this device, recruiters can make crystal clear video calls with their potential employees so they won’t have to travel from wherever they are just to be able to attend the interview. In a lot of cases, companies pay some of the best candidates to travel to their office from one state to another or even from one country to another, in order to have half an hour or one hour interview. Once again, this cannot be the perfect solution anymore. It costs money, energy, and time. With HELLO 2 recruiters can schedule interviews with as many potential employees as they want at any time. Companies looking to hire remote workers, in particular, can benefit immensely from this. All they have to do is share a link to their potential candidates. Once they click on that link, they can easily join the video call and the interview will be established within seconds. No need for registration. As long as you own a HELLO 2, you don’t need to pay anything else or any subscription and you can schedule video calls with anyone in the world. With HELLO 2 you can link your Google or Outlook calendar so you can see all scheduled interviews. This way you can have a clear idea of how many interviews you have for each day and you can better organize your time and know which time slots you have left to schedule other interviews or simply take care of other tasks. Since HELLO 2 has Amazon Alexa integrated, it will even easier and more fun to schedule interviews via Alexa Voice Assistant. At the same time, you can use Amazon Alexa to keep track of your current calendar events. It doesn’t matter where the potential candidates are located. You can use HELLO 2 screen sharing feature to see the portfolio of any candidate you want in real time. 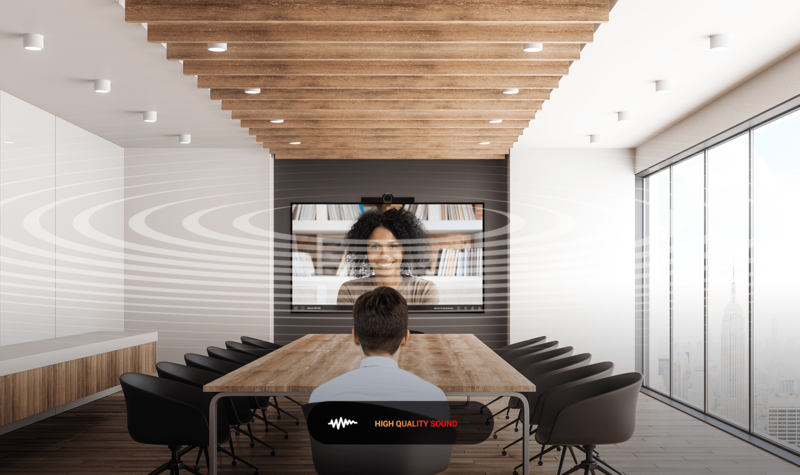 Moreover, once you decide on 2-3 top candidates, you can present wirelessly from your phone or desktop to any TV via HELLO 2, so you can have productive discussions with your HR team and decide on the people you want to hire. Through this digitization practice in HR, with the help of HELLO 2, employers will have great benefits by increasing their productivity, reducing costs, and saving valuable time. By putting a stop to the limitations of a physical person to person communication they will elevate the whole interview process.